La Carassa restaurant is quite the find in the very trendy El Born area of Barcelona. Down a narrow side street that would make the most hardened tourist feel like they were about to get mugged, you stumble across a restaurant that is both bohemian and traditional. La Carassa’s fondues are legendary. The cheese fondues are superb but the meat fondue is the stand out choice. Ox, beef, chicken and Catalan sausage (botifarra) are cooked in a vat of boiling oil, broth or Cava and accompanied by seven delicious dipping sauces. The decor is theatrical with every inch of the walls covered in obscure paintings, sketches and swathes of fabric. The candlelight, low ceilings and overall darkness make for a very intimate restaurant. I have an old boyfriend to thank for this discovery and whilst the relationship didn’t last, my love for La Carassa is everlasting! Uterqüe is that rarest of things - a fashion brand that cannot be found in the UK. Uterqüe is Zara’s big sister and has three branches in Barcelona and one at Barcelona airport. The flagship store is on Passeig de Gracia and is the most stunning space, making for a very luxurious shopping experience. The collection is upmarket Zara and very trend-led so consequently the prices reflect that, but the Instagram worthy clothes and accessories are definitely worth it. Uterqüe is a favourite with Spanish fashionistas but it still feels like a relatively new insider brand. Check it out, you won’t be disappointed. Barcelona has a wealth of art galleries which include the Picasso Museum, the Fundació Joan Miró and the Barcelona Museum of Contemporary Art also known as MACBA. I love them all but my personal favourite is the Fundació Antoni Tàpies. 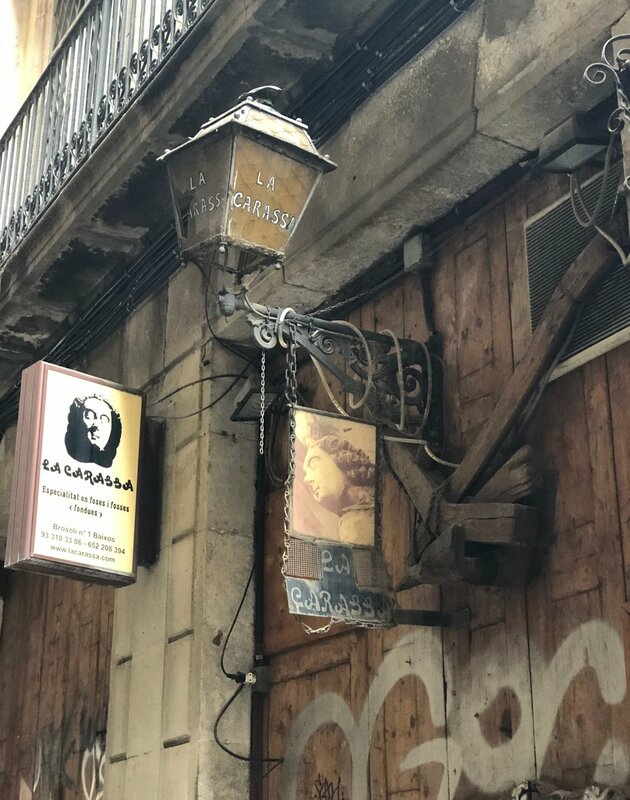 Situated in the centre of the city, the Foundation houses one of the most complete collections of the Catalan artist Antoni Tàpies. He was one of the most famous European artists of his generation and his work is still relevant today. His sculptures include clothes on a chair (cadira i roba) and a pile of 37 white plates (pila de plats). Tàpies turned ordinary objects into art. This was scandalous for 1960 but Tàpies was ahead of his time and his Foundation is a must see for those who love modern art. It goes without saying that I’m a huge fan of Jo Malone, Miller Harris et al but as we all know eau de cologne can come with a hefty price tag. 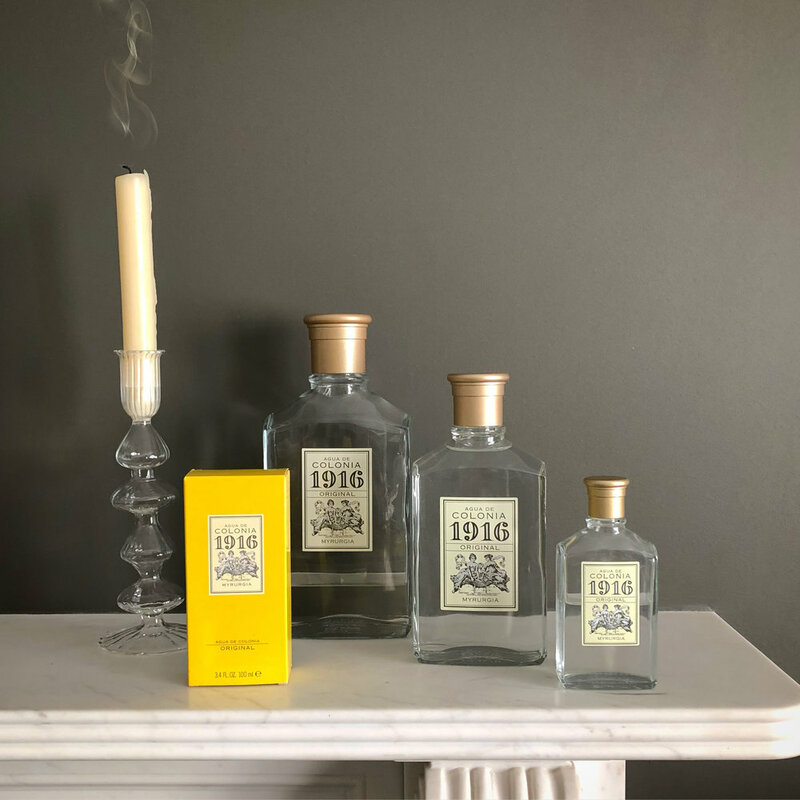 Long before these British luxury perfumers came along, Puig, a Catalan fragrance house was founded in Barcelona in 1914. The fragrance ‘1916’ is one of Puig’s more expensive unisex colognes and yet it is over 10 times cheaper than the Jo Malones of this world. It can be found in posh Spanish chemists or any branch of El Corte Ingles (think John Lewis). I’ve been wearing it for years, it smells gorgeous and I spray it with total abandon because it’s as cheap as chips! You can’t go wrong starting the day with a cafè amb llet (coffee with milk) and a croissant. However if you fancy upping your breakfast game, look out for the words xocolata amb xurros. Those magic words translate to hot melted chocolate and deep fried doughnuts, I mean what’s not to love! If thick hot melted chocolate is a bridge too far then choose a Cacaolat. Cacaolat is a milk chocolate drink from Catalunya that dates back to 1933. Delicious chilled in summer but even better served hot in winter. A vegan option of the drink is now also available so we can all get fat together! Barcelona is the city break that always delivers. It has the culture, the architecture and the weather. However what sets it apart is that it is the most cosmopolitan and diverse city in Spain. A city that is proud of its heritage and language but welcomes everyone. Bohemian and stylish, Barcelona is one of the most popular destinations in Europe but for me it is simply my second home. Barcelona t’estimo!